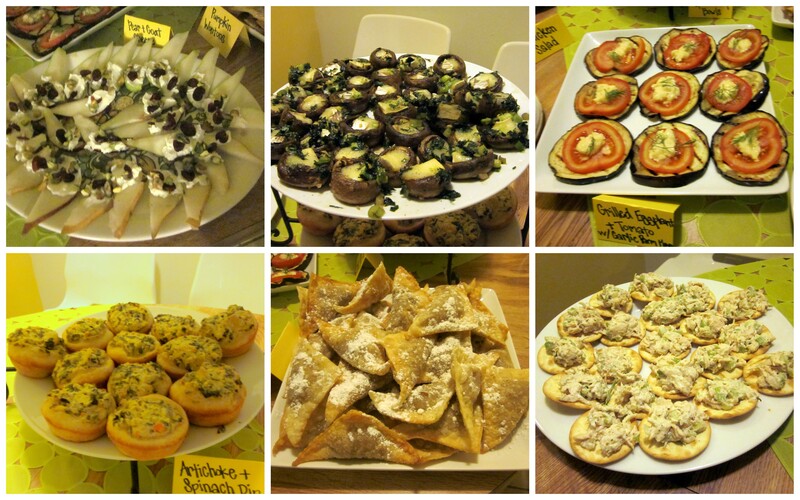 My next few posts will be about semi-DIY house projects I undertook over the last month, but first, I wanted to share the food from my recent housewarming. This past Saturday, I was happy to have nearly 20 friends stop by my new place—although now I have way too much alcohol in the house! Which is not the worse problem to have. 🙂 Being newly single is rough, but I’m very thankful to have such a great support network. 2. Brie stuffed mushrooms by The Pioneer Woman – this didn’t have as much flavor as I would have liked with all the yummy ingredients involved. 3. Eggplant appetizer by Laylita’s Recipes – this was the first time I used my stove top grill pan and there was crazy amounts of smoke. I gotta figure out what I did wrong before I use it again. Here’s a quick peek of my new place, more posts to come soon. Til then, much love! 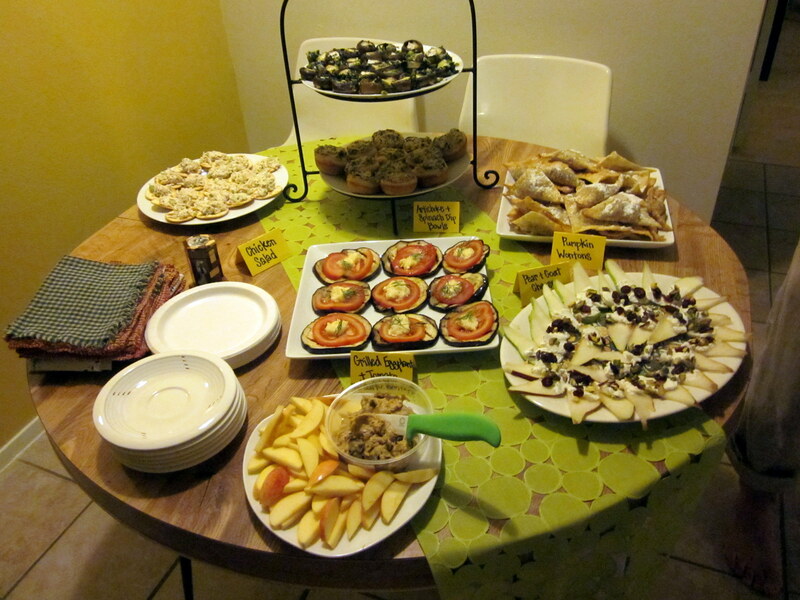 This entry was posted in Food and tagged caramel apple shots, fall food, Housewarming. Bookmark the permalink. Very Cute Linda! I love the decor! Your new place is so you!!! Love it!!! I definitely want to try the apple jello shots. LOL! Love your new place Linda! Your food was amazing as well. 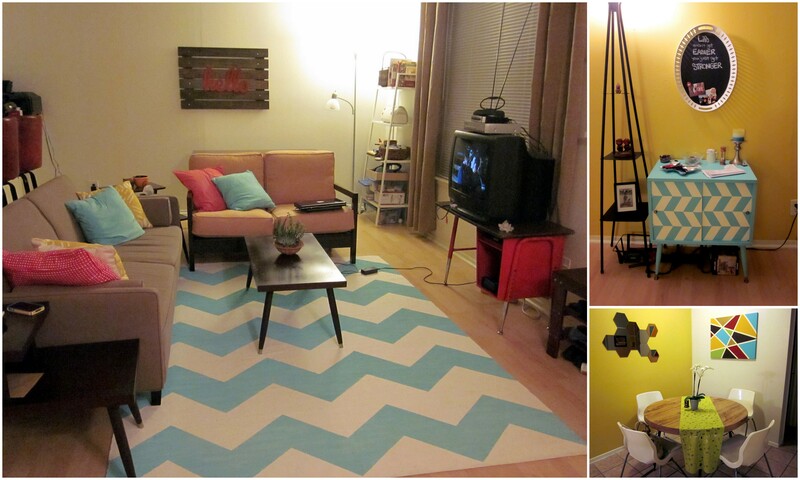 Your apt is super cute! And never underestimate the power of alcohol as a “support network” as well, hehe. Those jell-o shots seriously blew my mind. Way to think outside of the Dixie cup! Wow. I love your spread. That dresser is so cute! I also noticed the cloth napkins and love that a lot too! that stuff looks totes tasteee!! super yummo!! Wow- you never cease to amaze. You are absolutely the epitome of adorable, just wish I was there to see it in person! Thanks Jenny! Wish you in town to join! Wish I could have been there, friend! Looks amazing as usual :). Thanks Emily! Wish you could have been there too!